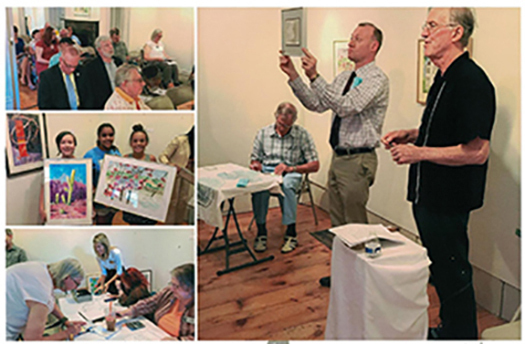 This Saturday was the Karl J. Volk Scholarship Art Auction. The iconic local artist donated 30 original paintings and auctioned them off here at Barrett Art Center. Proceeds from the sale of the artwork helped fund scholarships for students from both Poughkeepsie and Spackenkill high schools who are majoring in art. The event had an outstanding turnout!